It’s Monday. Why are Mondays always so hard? Is it a mental thing ingrained in us? Oh the things we ponder! Today I have the luxury of staying home all day! I’m working on some computer stuff, transferring files off my old laptop so my youngest can use it for homework. I still pulled myself together, even though I am just doing the kid dropoff/pickups today! Yes, I have an affinity for Christian Louboutin Simple pumps. They are just SO comfortable, for me that is. Anyway, hope y’all have a great Monday! 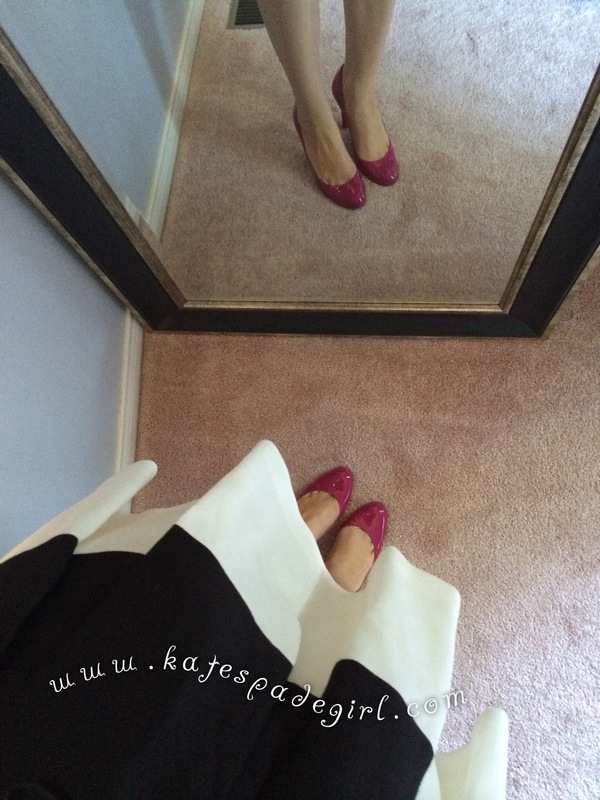 This entry was posted on August 18, 2014 by katespadegirl. It was filed under Outfit of the Day and was tagged with Ann Taylor, Christian Louboutin, Kate Spade, Target, Thrift. Your bag!!! Cute cute CUTE! Thank you!!! I LOVE IT. those pumps are perfect! do you wear any socky type things in them? No, just bare feet! In the winter I wear stockings. My feet don’t really get sweaty, and well, it’s not like I wear shoes ALL day, ya know? I even run around barefoot when I’m at the office! Lol. Do you know if theres a size 00 for Gayle Dress or just 0 for their smallest?